The most famous girl in Delft history is of course ‘The Girl with a Pearl Earring’ painted by the Dutch master Johannes Vermeer. The 17th-century 'Master of Light' lived and worked in Delft his whole life. His paintings are now on display in galleries and museums throughout the world, but only in Delft can you admire his complete oeuvre. You will find everything you want to know about his life and work in Delft. In just 5 stops you can go on an unforgettable journey of discovery through the world of the ‘Sphinx of Delft’. The Vermeer Centrum Delft is the only place in the world where you can admire (reproductions of) all the paintings of Vermeer in their original size. You will find out everything you ever wanted to know about Vermeer’s life, family, and work. Vermeer is especially famous for his stunning depiction of reflected sunlight. In his studio of light, you can discover how the painter was able to master the art of light, and you can perform your own interactive experiments with the camera obscura. The Vermeer Centrum Delft is a very special building in its own right. During the Golden Age, it was the home of the St. Lucasgilde, a craft guild which Vermeer - like his father before him - joined in 1653. Pay special attention to the facade of the building, which was restored to its original condition in 2006. On 16 December 1675, Vermeer was laid to rest in the family tomb in the Old Church. You can still see the memorial stone today. Three of his children, who died at an early age, are also interred there. One possible factor that contributed to the early death of Vermeer himself was his constant money problems. The wars between Holland, France, and England in the year of 1672 were disastrous for the art trade, and Vermeer was left holding many works of other artists that he was unable to sell. Vermeer died in poverty and left his wife with enormous debts. You will also find the memorial stones of famous contemporaries of Vermeer in the Old Church, including Antoni van Leeuwenhoek and the sea hero Maarten Tromp. Vermeer’s ‘View of Delft’ is probably the most famous cityscape painted by a Dutch master in the 17th century. The painting shows the view from the top floor of a house on the Hooikade, which looks out over the south side of the harbour. The interplay between light and shade, the stunning clouds in the sky, and the subtle reflections on the surface of the water make this painting an absolute masterpiece. Would you like to see the actual location of ‘View of Delft’ in real life? 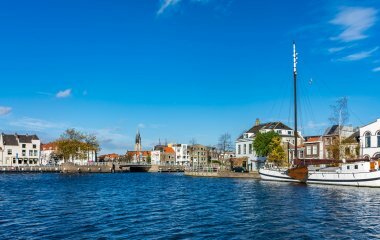 The harbour is only a 10-minute walk from the centre of Delft. Tip: at Huszár on the Hooikade you can sit down and relax and enjoy a refreshing drink, lunch, or dinner. And while you are there, why not check out the contemporary art on display at the 38CC gallery, Hooikade 13, in the same building. 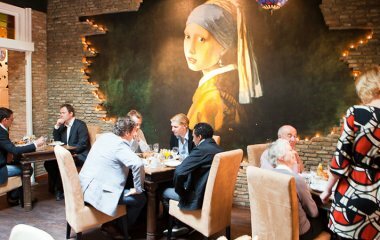 Would you like to sleep, eat, and drink in Vermeer style? 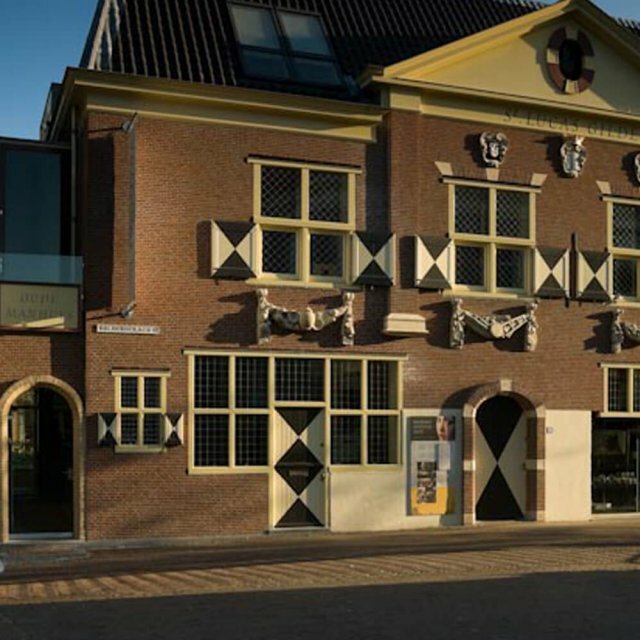 Then go to the Hotel Johannes Vermeer on the Molslaan in the heart of the city centre. 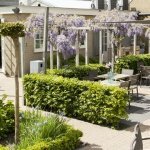 In their brasserie ’t Straatje van Vermeer you can enjoy a delicious Vermeer menu. 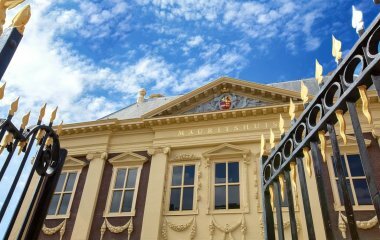 If you are staying a little longer in Delft, then a visit to the Mauritshuis in The Hague is definitely recommended. The masterpieces of Vermeer on display here include ‘View of Delft’ and the most famous girl in Delft history, ‘The Girl with a Pearl Earring’. She is sometimes referred to as the ‘Mona Lisa of the North’ because – just like Mona Lisa – she appears to be looking at you from every angle. It only takes 25 minutes by car or public transport to get to The Hague from Delft.